Join the comic book section of Entertainment Fuse, including Nicole D’Andria, Kat West (aka Comic Uno), and Jim Bush, as we discuss our picks for Entertainment Fuse's Comic Book Awards of 2016! In part one we talked about the best of the best who help create comics. This week we’re talking about the comic books you know and love, deciding which were the best series, mini-series, events, characters (new and old), couples and the underdog. Plus we talk about the best moments, the least impressive comic and the most shocking moment of the year! NOTE: Fellow writers Mike Miersen and Elvis Dutan share their thoughts about the best of the best on their Comic Chromosome podcast, which you can listen to here. 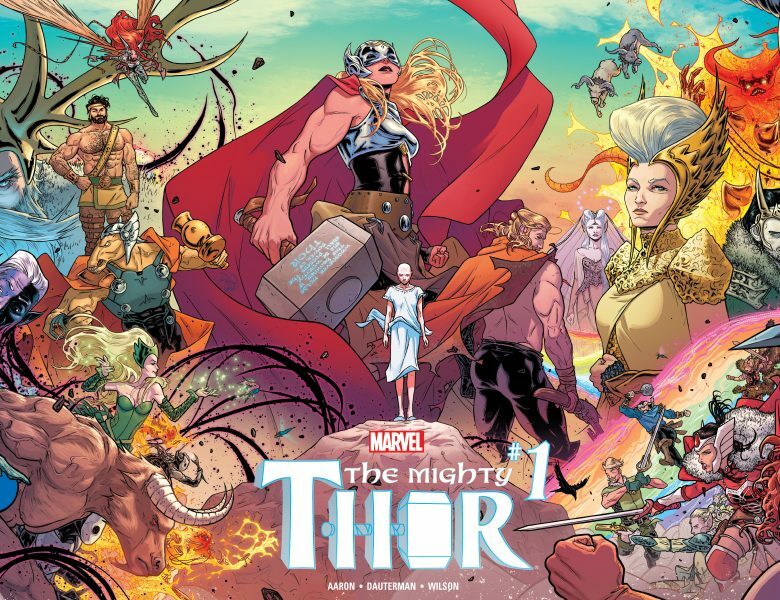 Series Nicole’s Pick The Mighty Thor I was apprehensive when it was originally announced there would be a new female Thor—after all, I’d rather get new, original heroes, rather than palette swapped replacements. However, Thor proves herself more than worthy of the hammer in this great series that balances the fantastical realms of the Norse Gods with our own. The most interesting battle to me isn’t necessarily the ones fought with the hammer (though those are pretty fun too), but the battle Jane Foster fights against cancer. Plus Malekith makes for a much more fun villain here than his movie counterpart. The rest of the villains also present a suitable challenge for the new God of Thunder. And we get to learn more about her magical hammer Mjolnir, an interesting and unique direction that I hope the series comes back to. Kat’s Picks Spider-Gwen Spider-Gwen had some great story arcs this year! 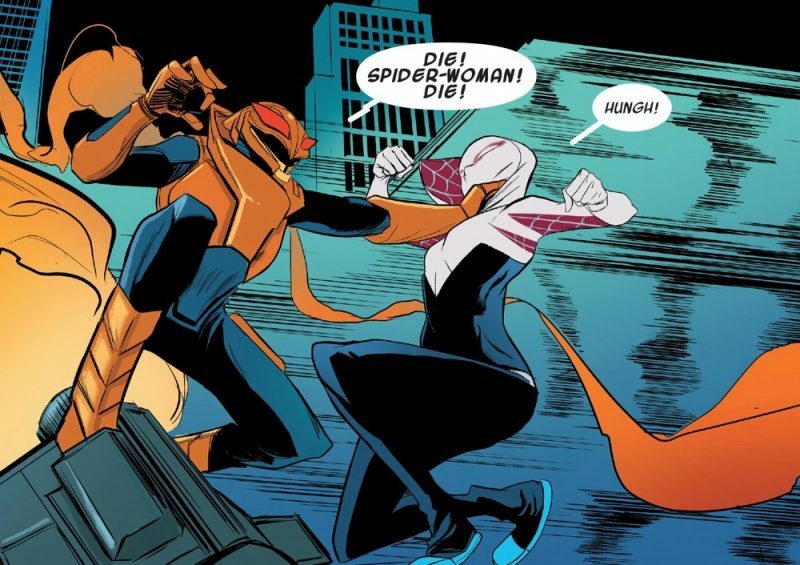 Including her encounter with the Green Goblin, an epic team up with the current spider ladies, more interactions with her band, and her father getting arrested! Astonishing Ant-Man This volume of Ant-Man was truly about the relationship between Scott and Cassie, one of my favorite relationships in the Marvel universe. It showed that they became heroes because of each other. Ms. Marvel Ms. Marvel this year did a great job at analyzing what hero Kamala wants to be for Jersey City and on the Avengers. This also affected how she interacted with her supporting characters! Jim’s Pick Black Panther You hear a lot about “world building” in fiction-based entertainment these days. It’s often used in fantastical applications, though, such as for Game of Thrones or Stranger Things. However, if there is one comic book this year that has built a world of its own, it’s Black Panther. 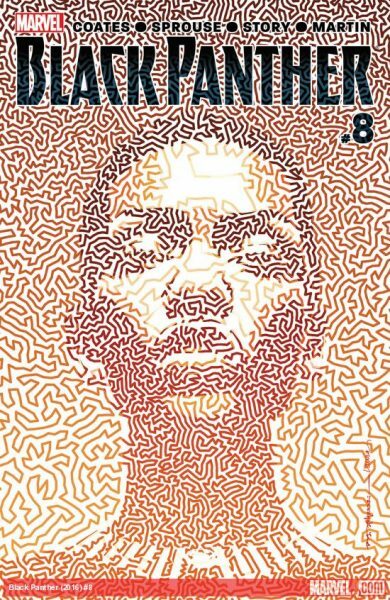 Writer Ta-Nehisi Coates has shown a different side of Wakanda, one in the midst of strife. This isn’t just an opportunity for heroics from T’challa, The Black Panther, though. Coates is interested in revolutionaries, the goals they have and the costs they must pay. He is also interested in portraying the struggles of the powerful T’challa, who is spite of all the challenges he faces may still be his own worst enemy. Overall, it’s a fascinating book, though mostly works on a character and philosophical level. 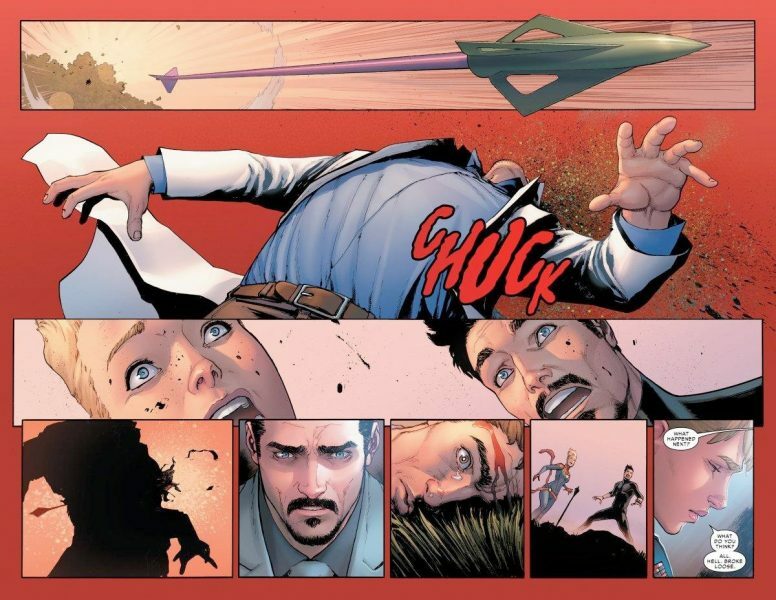 There are action sequences capably handled by Brian Stelfreeze, but those aren’t the point. At least not yet… it could be that after the world building comes the world clashing. 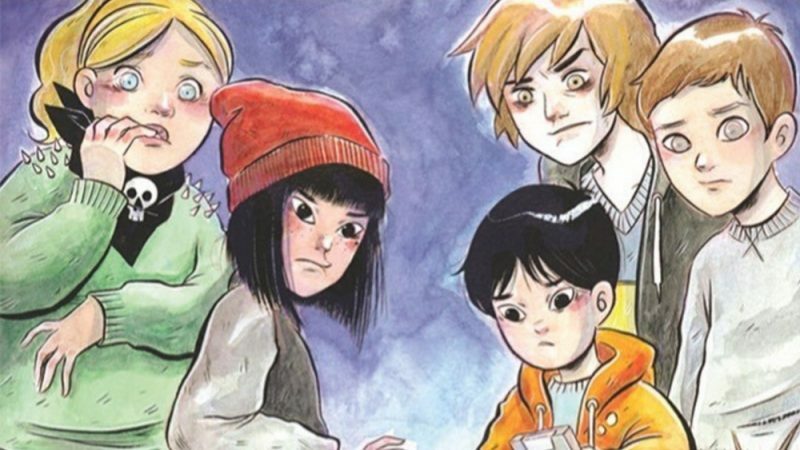 Mini-Series Nicole’s Pick Plutona Jeff Lemire certainly knows how to tell a compelling story that will keep you on the edge of your seat. Only the last two issues of this five issue mini-series came out this year, but that is more than enough, especially considering the shocking conclusion. In a universe with superheroes, this story revolves around a group of normal teenagers who discover a dead superhero in the woods. But it’s how each of them deal with this discovery that really makes this an intriguing read. The art style Emi Lenox, combined with Jordie Bellaire’s colors, are a perfect fit for the mini-series. 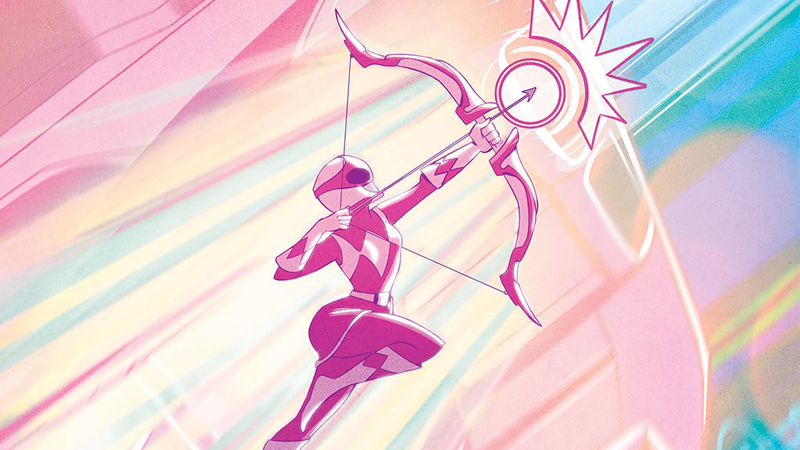 Kat’s Picks Power Rangers Pink I’m a huge Power Rangers fan, and when Power Rangers Pink was announced I was so happy to hear that Kimberly would be the first ranger to get her own mini-series. The series didn’t disappoint! The title takes place after her time as a ranger, and now she must bring together her own ranger team to save her town. Superman: American Alien Max Landis did a great job at given a modern twist to Clark Kent’s storyline. He’s still a boy scout in this series, but Clark deals with more modern situations as a young adult. The Violent This was supposed to be an ongoing series, but sadly got cancelled because of low sales. The Violent told a story of how a character that’s dealt a bad hand can become the villain of his own story. One mistake could be the start of a deadly path. 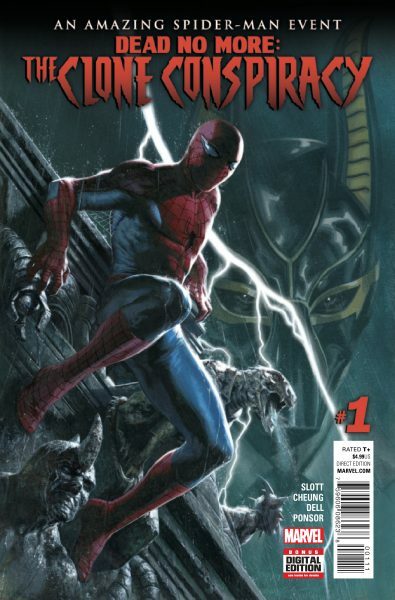 Jim’s Pick Dead No More: The Clone Conspiracy This series is still in its middle stages, but has been pretty entertaining so far. I’ll admit I find the “resurrection” conceit a little tiresome, but writer Dan Slott and artist Jim Cheung have made the series work because of a large cast of Spider-Man characters, good action beats, good characterization and a number of twists. I haven’t read all that many miniseries this year, and there is a chance that The Clone Conspiracy could stumble in its second half, but so far it’s been all you could want in a mini: fun, fast-paced and surprising. 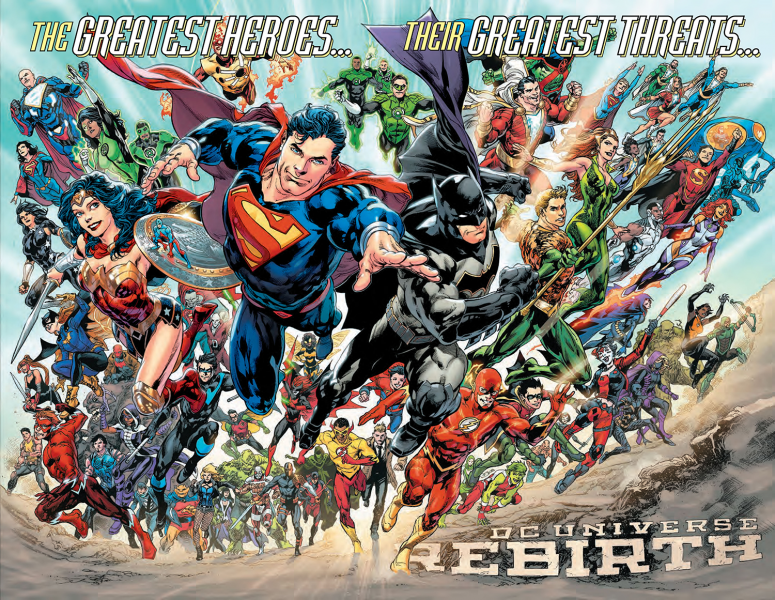 Event Nicole’s Pick DC Rebirth This event really did breathe new life into the DC universe. It led to one of the only comics that made me cry, DC Universe: Rebirth #1, all thanks to Wally West. 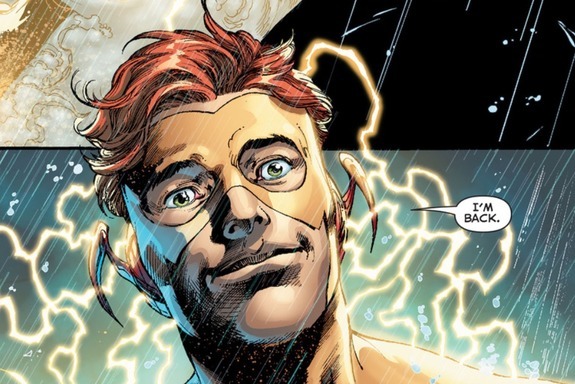 The moment between him and Barry Allen as Wally believes he’s fading out of existence is so heart-wrenching that it immediately made this event something special in my eyes. And then there was that wonderful ending…. Plus the event allowed DC to drop the New 52 logo on all their books. Finally! The further we can get away from the New 52 universe and into something that resembles the past is more than fine by me. Kat’s Picks DC Rebirth The event that rejuvenated the DC universe! This year DC brought me stories I care about, and I can’t wait to see how DC Rebirth will grow in the upcoming year. Spider Women Crossover It was great to see Cindy (Silk), Jessica (Spider Woman), and Gwen (Spider-Gwen) team up this year in an epic crossover. It allowed these heroes to become closer, and now Gwen dimension hops on a monthly basis to have brunch with these ladies. Jim’s Pick Revolution I recently wrote an article about why Revolution ended up being a better-than-expected event series. 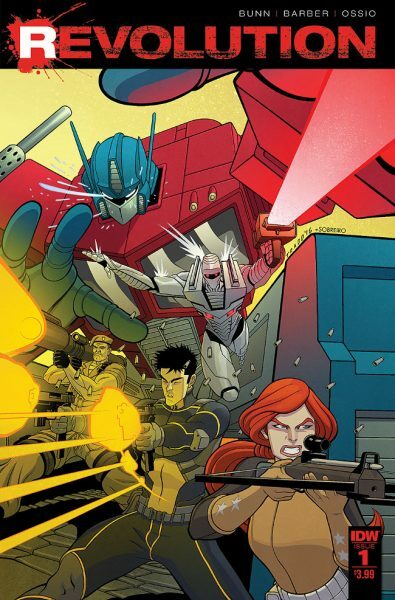 Bringing together Hasbro properties that have their origins in toys, IDW spun an enjoyable five issues out of an idea that could have felt like an excuse for merchandising or film adaptation. It helps if you are a fan of G.I. Joe, Transformers, ROM, M.A.S.K., Micronauts or Action Man. 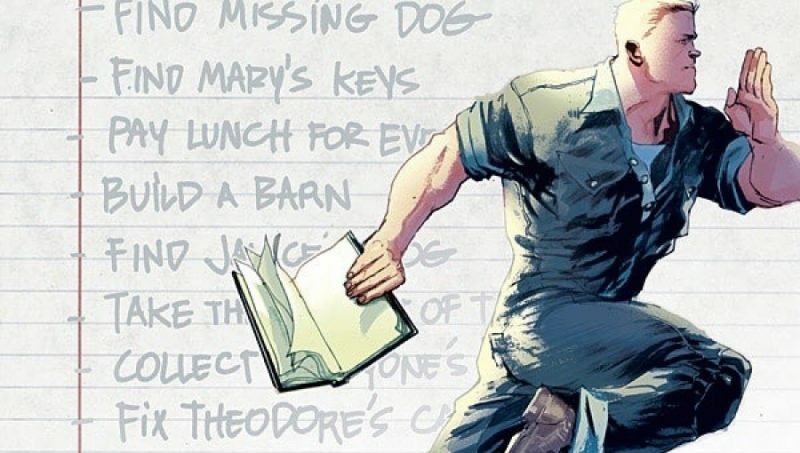 Still, writers John Barber and Cullen Bunn do a good job of giving you the info you need and moving the plot quickly enough that some of the weaker elements or plot holes are not so evident. While I don’t think Revolution will go down as a “classic” series, it is a good read for fans of any of these franchises. Character Nicole’s Pick Thor (Jane Foster) She's an amazing powerhouse who battles gods as well as cancer. Who wouldn't love Jane Foster's kind-hearted nature complimented with a big hammer she's not afraid to use, even if it undoes all the work chemo did for her. An amazing inspiration, I'm looking forward to seeing her continue being mighty in 2017. Deadpool Yes, I love him for his witty banter and fourth wall breaking. But Deadpool has a softer side as well. Ever since they gave him a daughter, Deadpool has been struggling between the line of hero, anti-hero and straight-up bad guy. But he certainly hasn’t lost his edge. Not being able to die himself may take away the tension in some of his stories, yet this year we were given more than ever before since Deadpool now has something even more precious to lose. Hopefully the Merc with the Mouth can find happiness. Kat’s Picks Cassie Lang I’ve talked about how great Cassie is as a hero in my underdog section. So I’m going to quote what I said there about her, “Cassie had a lot of struggles this year dealing with coming back to life and seeing her friends grow up without her. She begins to have a strained relationship with her father, and this causes her to have her own personal journey to figure out what hero she wants to be.” Spider-Gwen A character I’ve loved since her first story in Edge of Spider-Verse #2 continues to have a great story in 2016. This year we’ve seen Gwen create stronger bonds with her friends and family, but these bonds have also been tested. By the end of 2016 Gwen is left powerless with her father in jail. I am very excited to see how Gwen will get out of this rut in 2017. Ms. Marvel This year in Ms. Marvel the series has been about Kamala finding her place as a hero of Jersey City. It’s been a great journey where Kamala has been able to learn more about herself. She even stood her idol (Captain Marvel) in the eye and disagreed with her. That’s a huge step towards Kamala becoming her own hero. Jim’s Pick Captain Marvel Captain Marvel got a dose of primetime spotlight when it was announced that Oscar winner Brie Larson would be staring as the character in her upcoming film. 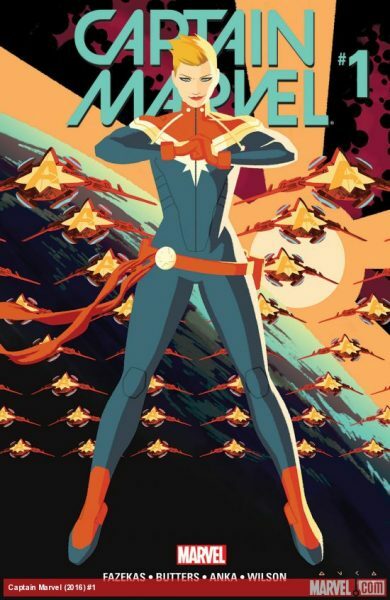 Marvel also relaunched a new Captain Marvel comic series headed (initially) by Tara Butters and Michele Fazekas, the writers of the Peggy Carter TV series. 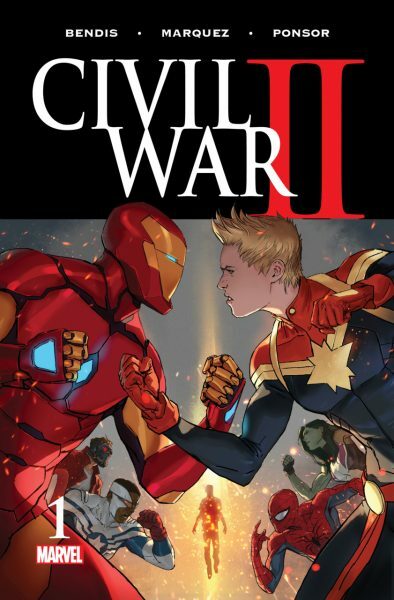 Then during the summer, Captain Marvel played the leader of one side in Civil War II, facing off against Iron Man. Though her motivations in that series were sometimes clear and not so much at other times, the writers of her solo series did a good job of fleshing out her character and keeping her likeable. Coming out of Civil War II, Captain Marvel can be seen as one of the most prominent heroes in the Marvel Universe. That’s a big change for a character that was barely seen during much of the 1980s and 1990s at Marvel. New Character Nicole’s Pick Red Tool Red Tool probably shouldn’t be on this list. 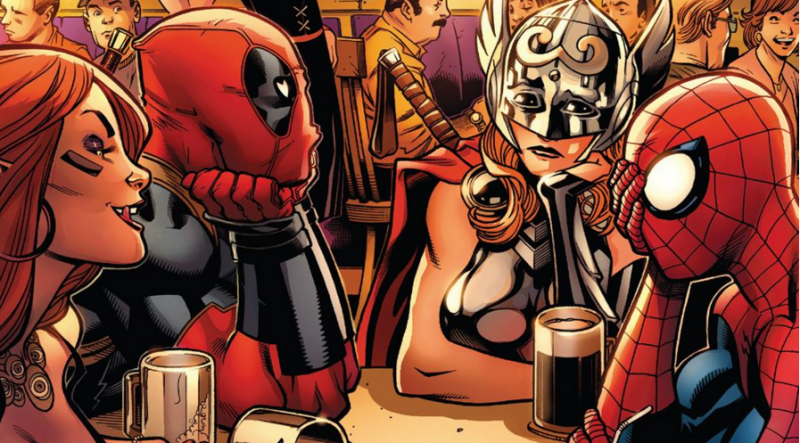 He’s an obvious Deadpool rip-off who hangs out with Harley Quinn… but what about that sentence doesn’t sound awesome?! He basically has Deadpool’s personality but exists in the DC universe. Red Tool also has a thing for hardware. One of my favorite quirks of his is how all his word balloons are in the shapes of his beloved tools. This is a nice creative touch that really adds to his already bonkers character that I can’t help but love. He’s one of the only reasons I’m stilling even reading Harley Quinn. Kat’s Picks Gotham Girl Gotham Girl was first introduced in Tom King’s first arc of his Batman run. She first appeared as a background character for Gotham’s story, but in a turn of events became the lead in this arc. Gotham Girl lost everything, including her sanity. I can’t wait to see what stories we receive with her in 2017. Gabby Gabby was introduced in the All-New Wolverine comic in 2015, but became a real supporting character in 2016. It’s been great to see how this character has grown, and how she pushes Laura to grow as a character as well. Lou Lou is the main character from the Image comic Cry Havoc. A story that told the beginning, middle and end all at the same time. It shows how much a character can grow in the different stages of a story. 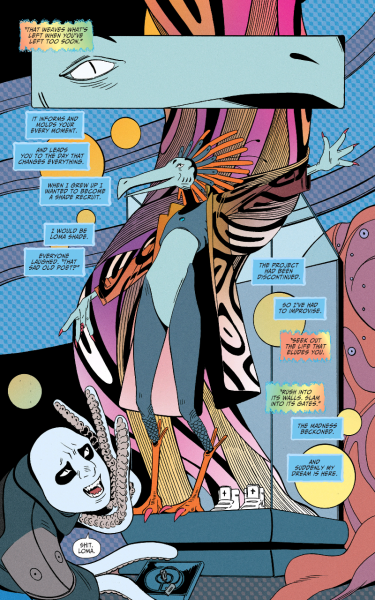 Jim’s Pick Loma/Megan Boyer (Shade, the Changing Girl) For the reboot of Shade, the Changing Man, writer Cecil Castellucci and artist Marley Zarcone picked an unlikely hero. Loma, a bird-like creature from the planet Meta, transports herself into the body of comatose teenage Earth girl, Megan Boyer. However, Loma has the bad luck to have landed in a body of a terrible bully who is hated or feared by all of her classmates. Seeing Loma get used to the human body while also navigating the troubled milieu of high school has been really fascinating. Shade, the Changing Girl is one of the four new titles from DC’s “Young Animal” imprint and it features one of the most refreshing new characters of the year. Friendship Nicole’s Pick Laura and Gabby (All-New Wolverine) Finding out you have clones of yourself can be a big life-discovery. After losing several of them, Laura finds herself stuck with Gabby, a spunky younger version of herself that’s just as deadly—if not more so. 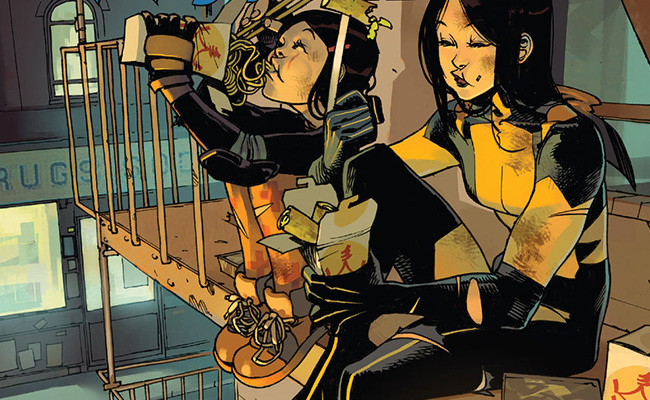 The two have a quirky sisterly bond that is really enjoyable to witness in All-New Wolverine. Kat’s Picks Kat’s Picks Older Erin and Erin It was great to watch Older Erin and Erin’s relationship develop in 2016. 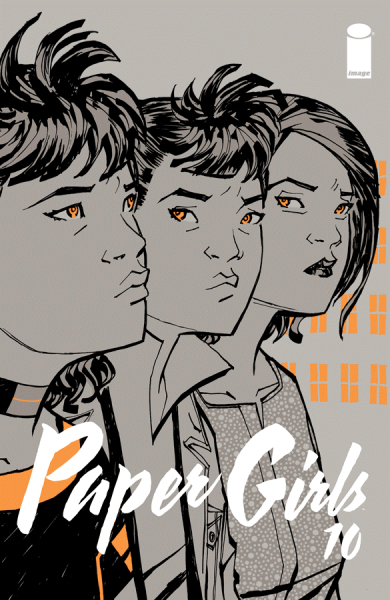 These characters are the same person, but Paper Girls shows how much time can change a person’s view on life. I hope we get to see more of older Erin when the book returns from its hiatus in 2017. Em and Dana Revival may be a book about life and death, but it’s also a book about family. In 2016 Revival started to lay down the ground work for the end of the series’ story. This year we were able to see Em and Dana’s relationship really develop. Dana is on a mission to figure out who murdered her sister, as Em becomes less numb to the people around her. In Revival #45 Em states her families’ relationship perfectly. Before Revival day they were all strangers who were related by blood, but that day reminded the Cypress’ how to be a family. This holds especially true to Em and Dana! Roger and Jessica The new volume of Spider Woman made Roger a valued member of the Spider Woman team. One of the highlights of this series was seeing Roger and Jessica’s friendship grow as they bonded over parenthood. Dennis Hopeless leaves his audience on a major cliffhanger in Spider Woman #13, where it’s revealed that Roger loves Jessica. Sadly, he doesn’t have the opportunity to tell Jessica before being blown away by the Hobgoblin. Jim’s Pick Luke Cage and Danny Rand Power Man & Iron Fist reunited the Heroes for Hire from the 1970s. With both getting solo Netflix TV series prior to The Defenders, it made sense for Marvel to focus on the duo in 2016. 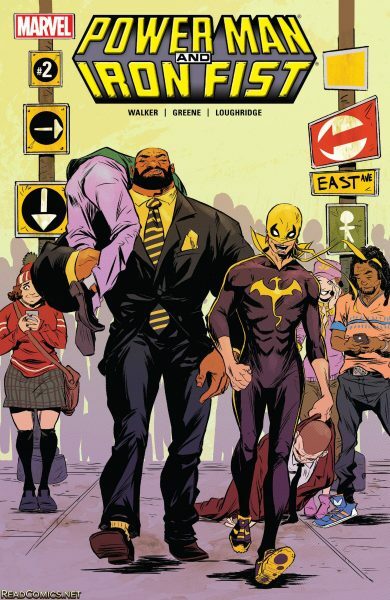 However, David Walker’s Power Man & Iron Fist series has really highlighted their friendship. Luke Cage does not initially want to work permanently with Danny Rand again. He insists at first that it’s temporary. You can tell how much fun they are having together, though. Walker does a great job of showing how Danny and Luke have very different personalities, but they actually balance each other well. Even in trying situations, Luke and Danny have each other’s backs. This makes the duo, back together as partners after many years, the best comic book friendship of 2016. Couple Nicole’s Pick Archer and Faith The one word I’d use to perfectly describe this couple would be adorable. These two exchange such cute banter and their relationship feels so real. Archer’s nerves on their first date add to the realism of the situation and make the two of them all the sweeter. 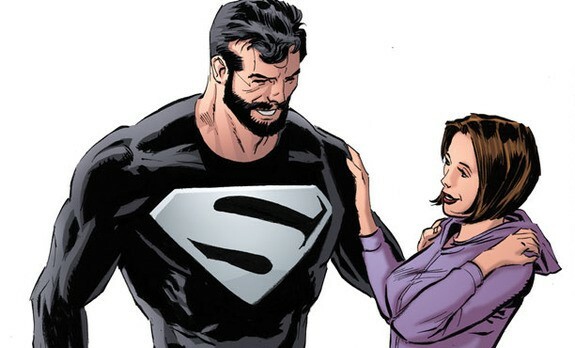 Kat’s Picks Lois Lane and Clark Kent DC Rebirth brought us the old Lois Lane and Clark Kent, and they’ve done a great job with their relationship. Lois is not on the sidelines, she is working as a partner with her husband. Becky and Mason I put Becky and Mason on this list because of their more complicated relationship. The Violent shows how much Becky and Mason love each other, but they also have their own demons they have to tackle. This affects their relationship as a whole! Tim Drake and Stephanie Brown It was great to see the return of this couple in DC Rebirth! I would have loved a bit more panel time for the relationship, but it was great how Detective Comics was able to pick up this relationship again. Jim’s Pick Silver Surfer and Dawn Greenwood This was my pick last year, but honestly most of the comics I have been reading do not have strong couples. I suppose 2016 wasn’t a good year for romance in comics (not to be confused with romance comics). 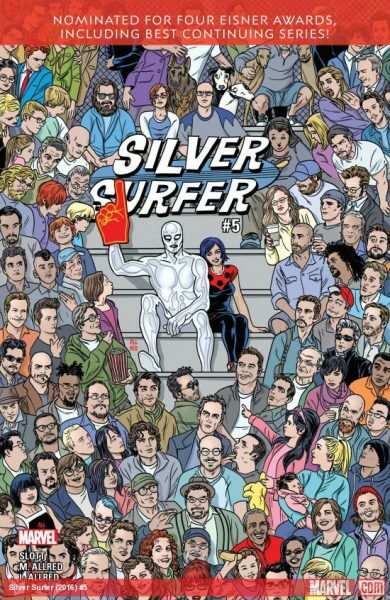 There were some long breaks in publishing Silver Surfer this year, but writer Dan Slott and artist Michael Allred still managed to make the appearances of Silver Surfer and Dawn Greenwood count. They had near-death moments and moments of betrayal. Silver Surfer not being human often makes errors in judgement when it comes to social boundaries. Still, their affection has remained strong. Even if Dawn and Silver Surfer do not have a perfect relationship, there is still one of the best ones going at Marvel. Underdog Nicole’s Pick Huck Huck was a simple gas station attendant who tried to do one good deed. He seemed rather simple-minded, but he had one of the biggest hearts of any character this year. This underdog, despite his naïve nature, is as strong as Superman. Yet there isn’t a hurtful bone in his body. He also has the disadvantage of his secret getting out and the world knowing about his powers. What does he do with this knowledge? Go into hiding? No! He helps everyone he possibly can, from the small things like rescuing cats from trees to finding missing children. Zoe Zimmer Zoe seemed like nothing more than the bubble head blond, a one note high school bully. 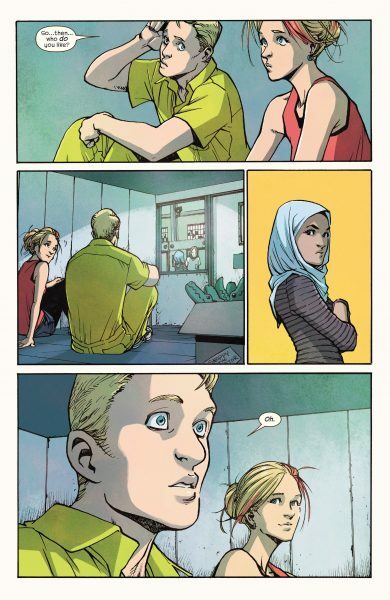 But after the events of Ms. Marvel #12, she becomes a completely different person. She realizes the error of her ways and befriends the people she wants stepped on, even revealing she has feelings for a fellow girl in her school. I went from forgetting who she was to enjoying her every time she was on panel. Kat’s Picks Zoe Zimmer Once again giving a shout out to Zoe Zimmer! She’s been mentioned in a couple of other categories on this list, and I hope to see even more panel time with her next year. She’s really changed to be a likable character! 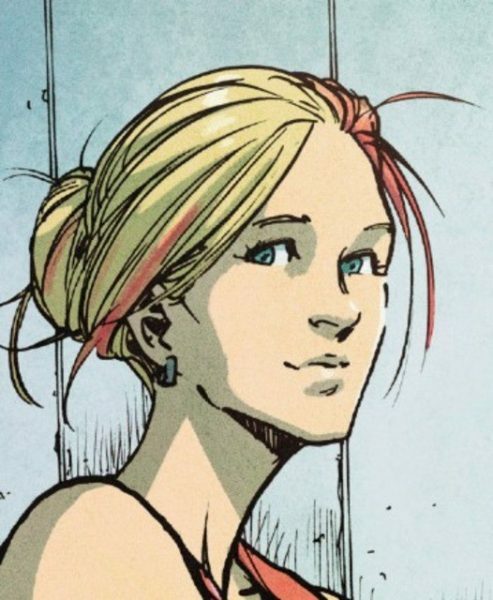 Cassie Lang Cassie is another character I’ve given a lot of love to on this list! Cassie had a lot of struggles this year dealing with coming back to life and seeing her friends grow up without her. She begins to have a strained relationship with her father, and this causes her to have her own personal journey to figure out what hero she wants to be. Roger Roger really stepped up as a hero this year with Jessica’s pregnancy in Spider Woman. I was happy to learn more about his family life. Jim’s Pick Jaime Reyes (Blue Beetle) Jaime Reyes is the title character in the new Blue Beetle series from DC Comics. He is a teen who has powers and suffers from many of the superhero in high school issues that plagued Peter Parker many years ago. However, it was another Beetle making a return in the series that made headlines. 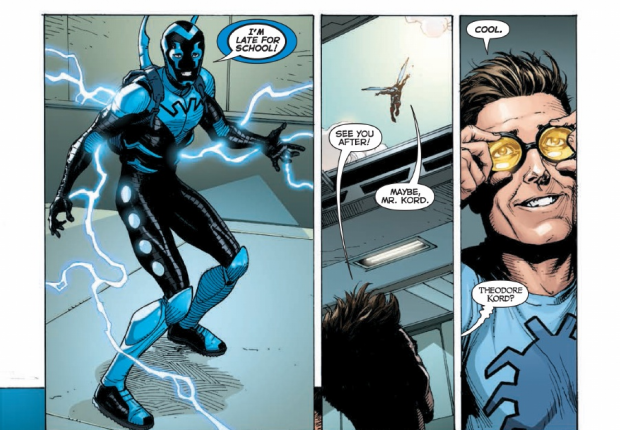 Ted Kord, the second Blue Beetle who was killed by Max Lord in the pre-New 52 continuity, returned in the series. He is not the Beetle but rather an industrialist who mentors Jaime. They have a tense relationship but there is genuine warmth between the two. 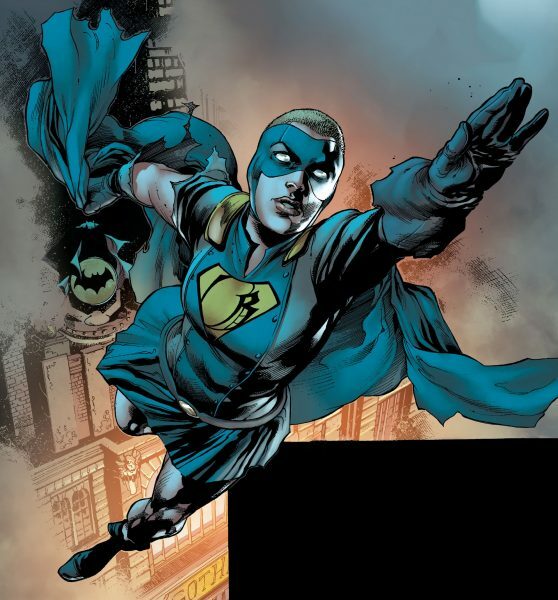 Still, Blue Beetle is a cult character whose series is not guaranteed to last, even with two Beetles and frequent appearances from Dr. Fate. That makes Blue Beetle an underdog. The fact that Jaime Reyes might not even be the most popular Beetle in a series that he is headlining also makes him an underdog. Still, he’s an underdog I enjoy following. Best Moment of the Year Nicole’s Pick Wally West in DC Universe: Rebirth This goes back to my reasoning about how wonderful DC Universe Rebirth #1 is. Wally West struggling to maintain his existence and reach out to someone, anyone, is a heart-wrenching process. When he finally confronts Barry Allen, even I couldn’t stop tears from rolling down my eyes. It is wonderful to have Wally back, and he couldn’t have come back in a better way. Kat’s Picks Cassie and Scott Become a Team I talked about this on The Marvel Report. 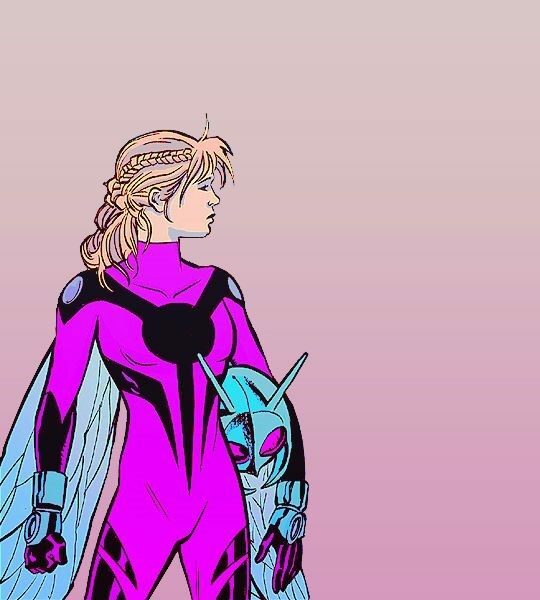 So I am going to quote my response from there, “The Astonishing Ant Man series in many ways was a love letter to Cassie and Scott’s relationship. 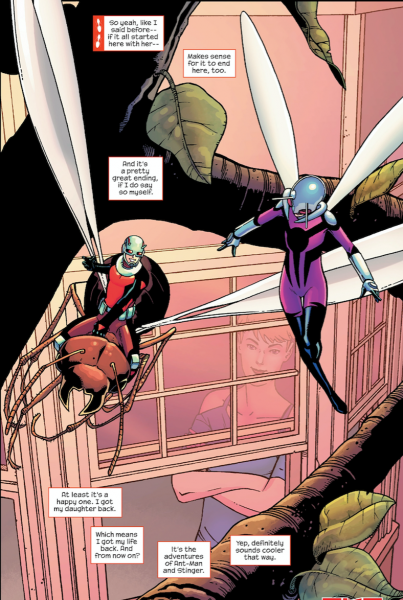 It may have taken almost a decade for this team up to happen, but Astonishing Ant Man #13 made it worth the wait.” Supporting Characters Shine in Ms. Marvel #9 This is a similar response towards my shocking moment with the Zoe reveal in this same issue. But I must also add to this post the clever dialogue from Nakia in this issue. Nikia is upset at Ms. Marvel and takes a stab at her by saying, “We’re not her friends, we’re background characters.” A great line that puts a spotlight on Ms. Marvel’s supporting characters. Lana Lang Becomes Super Woman Super Woman #1 was one of my favorite issues that came out this year, because I love how the marketing tricked the readers. This usually isn’t a good thing, but with not revealing that Lana was the true main character of the book it left me speechless when the book killed off Lois. 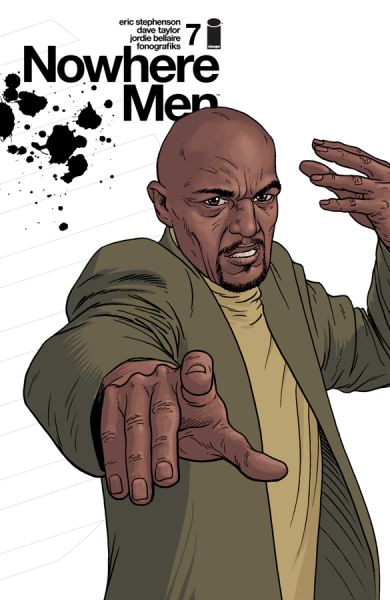 Jim’s Pick Return of Nowhere Men I am going to guess that there aren’t too many people who are that familiar with Nowhere Men, let alone who would rank its return at the “best moment” of 2016. However, the first six issues of the series in 2013 really impressed me. It was a weird series with a complex plot, indirect storytelling and an immense amount of characters. However, it also combined disparate influences like classic Fantastic Four, The X-Files and The Beatles. The series paused due to problems for artist Nate Bellegarde. However, writer Eric Stephenson restarted the series in January 2016 with new artist Dave Taylor. Rather than reboot the concept, Stephenson restarted issue #7 where it had left off three years earlier, without much recapping and went into even more unusual directions. Still, it has been quite riveting. While I don’t always know what I’ve read when I finish an issue of Nowhere Men, I’m happy it’s back. 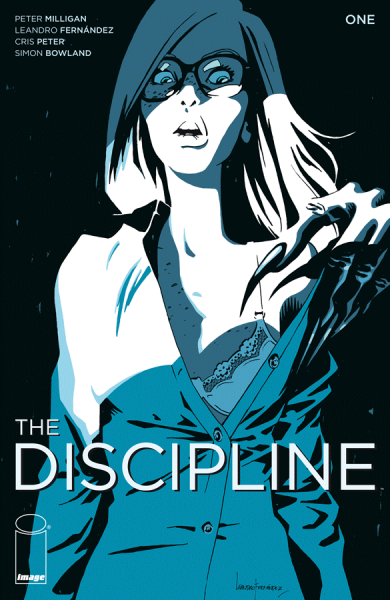 Least Favorite Comic Nicole’s Pick The Discipline #1 If you’d like to be uncomfortable, read this. The lead character is treated like trash and the story is just frustrating. I dropped this book immediately after this issue, so I'm only including the first issue rather than the entire series to be fair. But I can't imagine it getting any better. Kat’s Picks The Discipline #1 This book wasn’t for me! I really didn’t like how the main character was treated in this issue, and she wasn’t a lead I wanted to follow further. Jim’s Pick Civil War II I’m not going to spend too much space hating on Civil War II. I’m sure there are many websites who have already gone to town on that topic. I didn’t even really hate the series, but I found it pretty boring. Additionally, it had many of the worst elements of modern event comics: early, shocking death of B/C level character; slow build-up; lots of unrealistic debates; heroes acting out of character for plot reasons; even more shocking death of major character in the middle of series; and an anticlimactic ending. Honestly, I cannot claim that Civil War II has a weak ending because I stopped reading the series. I wasn’t a huge fan of the original Civil War, but Marvel even didn’t hit the precedent set in the first. Hopefully, they put this concept to bed now. Most Shocking Moment Nicole’s Pick Manhattan Alters the DC Universe There were plenty of shocking (and tear jerker) moments during the DC Rebirth event, but this definitely takes the cake! During DC Universe: Rebirth #1, readers discover that Dr. Manhattan of Watchmen was responsible for taking away 10 years and altering the lives of the characters in the DC universe. 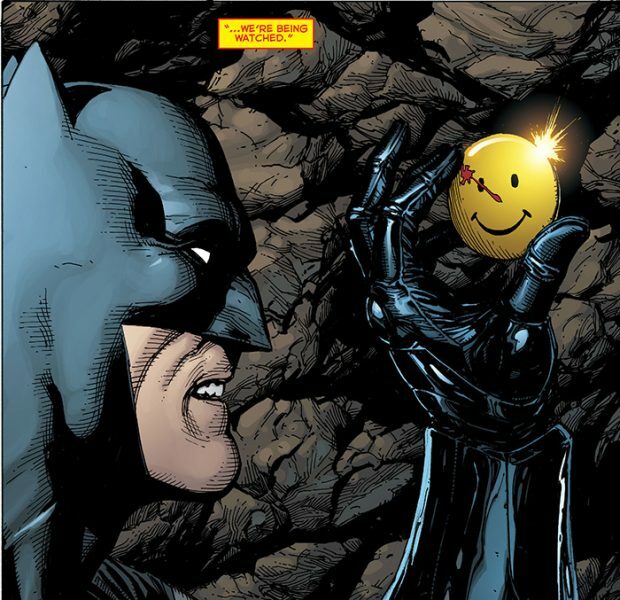 The moments at the end of the issue when Batman discovers the Comedian’s bloody smiley face button was one of my favorite moments of the year. Kat’s Picks Zoe Likes Nakia in Ms. Marvel Ms. Marvel #9 was one of my favorite comic books I read this year because it had a heavy focus on Kamala’s supporting characters. 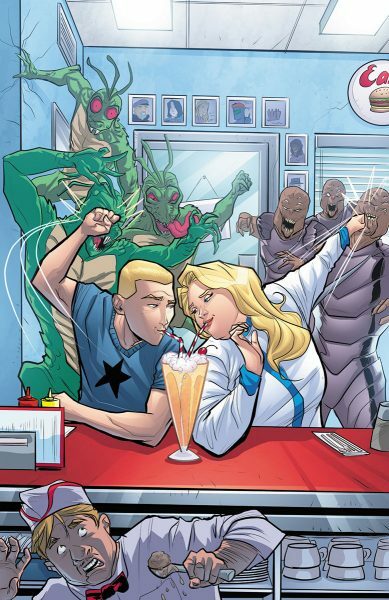 This issue especially put a focus on Zoe and Josh, two characters who started out as generic bullies in the series. This issue gave some space for Josh and Zoe to discuss their relationship. This was a much needed discussion for these characters. Josh still cares for Zoe, and wanted to know why Zoe didn’t care for him anymore. He thought it was because Zoe thought he was stupid, but it’s instead revealed that Zoe doesn’t like boys. All the mean things Zoe did in the past started to make sense, and then at the end of the scene it’s revealed that Zoe likes Nakia. I am really excited to see where Nakia and Zoe’s relationship will go in 2017 after this reveal. Cassie Lang Becomes Stinger As a longtime Cassie Lang fan I can’t explain how much this reveal meant to me! Since returning from the dead we haven’t seen Cassie become her own hero. Ant-Man instead focused on Cassie trying to be a normal girl, but Astonishing Ant-Man #6 showed that Cassie never wanted to be a normal girl. At the end of the issue Cassie teams up with the main villain to get her powers back and become the new vigilante known as Stinger. This codename is a callback to Cassie’s MC2 character. Wonder Woman Never Went to Themyscira At the end of the first DC Rebirth story arc it was revealed that Wonder Woman has never been to Themyscira after she left the island with Steve. It looks like this is going to affect Wonder Woman greatly! I can’t wait to see where this will take the character in 2017. Jim’s Pick Death of Bruce Banner Marvel Comics has been slowing replacing their original heroes with newer versions over the past couple of years. This is either daring or misguided, depending on your perspective (or possibly both). With Amadeus Cho having recently become the new Hulk, it wouldn’t have been surprising if they made Bruce Banner go away for a while. However, I didn’t expect Marvel to kill him. I also didn’t expect the death to be carried out by Avenger Hawkeye. I don’t really like either of these decisions, but considering it came during my “Least Favorite Comic” of 2016, I guess that make sense. I don’t expect Banner to stay dead, and I think “curing” him of the Hulk, and having him be an interesting scientist character for Marvel would have been a better, and in many ways more daring choice. Still, Marvel chose to kill their most powerful character. Thank you for joining us for this year’s comic book awards! Here’s to hoping the future of comic books grows even brighter in 2017!